Flicker user Changelyng made this wonderful LED Display skirt that individually spells out the letters of "Gok-Must-Die." Made using conductive thread, multiple SMD LED sequins are sewn into a matrix and then programmed. 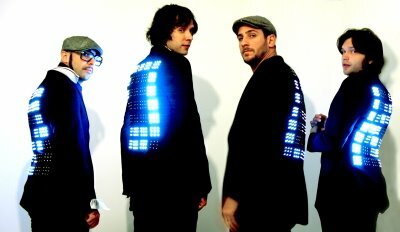 This project is a great DIY version of the OK GO LED Display coats created by technologist Mortiz Waldemeyer.